Several people in the courtroom yelled "Murderer!" 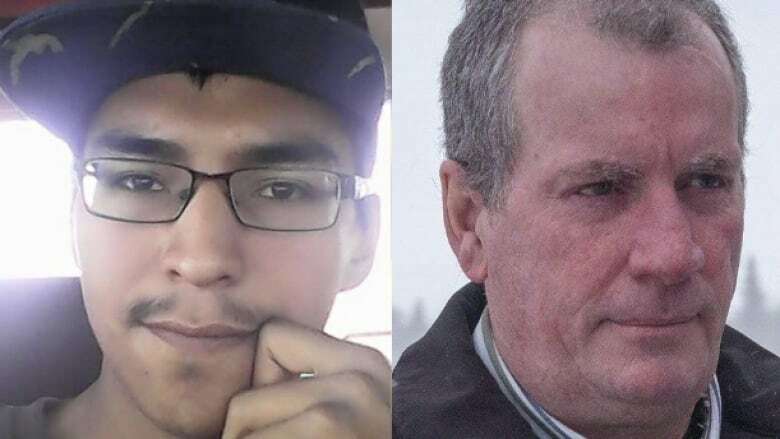 seconds after a Saskatchewan jury found Gerald Stanley not guilty of killing Colten Boushie early Friday evening. As a sheriff's deputy put his hand on his shoulder, Stanley recoiled for a moment before being hurriedly led out of the tense room. Stanley, 56, was charged with second-degree murder in the August 2016 death of the 22-year-old. The Battleford Court of Queen's Bench jury began deliberating Thursday afternoon and returned its verdict Friday evening. Bobby Cameron, the chief of the Federation of Sovereign Indigenous Nations, spoke at FSIN's North Battleford office at a hastily-called press conference two hours after the trial's conclusion. Cameron expressed deep skepticism about Stanley's assertion that the gun he was holding accidentally went off, killing Boushie. "In this day and age, when someone can get away with killing somebody, when someone can get away with saying, 'I accidentally walked to the storage shed, I accidentally grabbed a gun out of the storage box and I accidentally walked back to the car and then I accidentally raised my arm in level with the late Colten Boushie's head, then my finger accidentally pushed the trigger' – what a bunch of garbage," said Cameron before tightly-packed crowd. Cameron said Justice Minister Jody Wilson-Raybould has promised to meet with the Boushie family in the near future. The high-profile trial has drawn attention across Canada, and both Wilson-Raybould and Prime Minister Justin Trudeau acknowledged the verdict on social media on Friday night. Just spoke with <a href="https://twitter.com/Puglaas?ref_src=twsrc%5Etfw">@Puglaas</a>. I can't imagine the grief and sorrow the Boushie family is feeling tonight. Sending love to them from the US. After the verdict was read out and people left the courtroom in shock, many members of the Boushie family went into a private room on the second floor of the courthouse. Loud sobbing and screams — including "Colten! Colten! Colten!" — could be heard through the door. "This is not right. Something has to be done about this!" said Alvin Baptiste, Boushie's uncle, after the verdict was read aloud. Outside the courthouse, Baptiste said to reporters the justice system has to change to serve First Nations people. "We will not give up our fight for justice," Boushie's cousin Jade Tootoosis said on the courthouse steps, adding that her family has felt uncomfortable and victimized throughout the process. "There is a darkness that exists in this country," said Murphy. "I believe we are going to have feel our way out of it." Kimberly Jonathan, vice-chief of the Federation of Sovereign Indigenous Nations, said the verdict is a continuation of the atrocities Indigenous people have faced in Canada, citing the residential school system and the Sixties Scoop. Jonathan also urged all First Nations people to be peaceful in the aftermath. "The family called for calm. The family prayed for peace," she said. "We're are all hurting. We all face racism. Everyone sees it. I see it as a mother." Scott Spencer, Stanley's attorney, was not available for comment. Senior Crown Prosecutor Bill Burge did not rule out an appeal. He said they would evaluate their options. "There's never any winner in a case like this," he told reporters outside the courthouse. When asked if he was surprised by the verdict, Burge declined to reply. Revisit CBC's moment-by-moment tweets covering the delivery of the verdict and the intense reactions to it below. On mobile? Click here. Boushie and four other young people from the Red Pheasant Cree Nation reserve drove onto Stanley's rural property in an SUV on Aug. 9, 2016. An altercation occurred between them, Stanley, his son and his wife. Stanley testified during the trial and said he did not mean to shoot anyone. 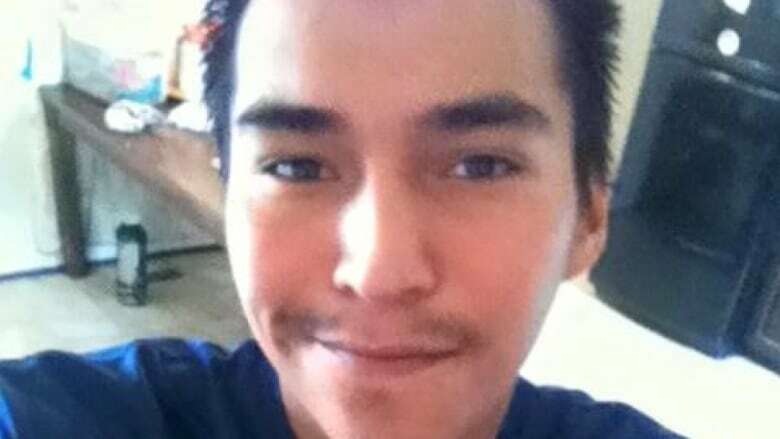 He said the handgun he was holding accidentally went off, shooting Boushie in the head. Expert witnesses testified the pistol was functioning normally and the handgun could only be fired by pulling the trigger. The jury could have found Stanley guilty of second-degree murder or manslaughter, or not guilty, according to Chief Justice Martel Popescul, who oversaw the trial. "What this trial comes down to is whether Gerry acted reasonably," Stanley's lawyer, Scott Spencer, told the jury. Senior Crown prosecutor Bill Burge told the jury that Stanley lied about some of the events leading up to the shooting, including that the gun went off accidentally. "[The trigger] was pulled intentionally. I'm suggesting that's murder," Burge said. Jury selection took place on Jan. 29 in a Battleford community hall, followed by several days of testimony from eyewitnesses, family members, experts and Stanley himself.